Happy Wednesday everyone! I decided that this post was much needed this week as I have found that between checking my dwindling blog analytics and lowered Instagram engagement, I have started to feel super low. I keep asking myself, why those things matter so much to turn my mood into a negative space and the answer is my self-esteem has become dependent on my accomplishments on social media. Unconsciously, I equate doing well in the social media world with increasing my self-esteem. That is wrong! So wrong, and quite frankly not healthy. So here I am wondering how I can healthily improve my self-esteem. How can I equate my self-worth with my own personal accomplishments, and on a more personal level in general? So below I gathered 7 ways to improve your self-esteem that have nothing to do with others, and only require your self-love and personal time. The time you take to appreciate yourself will make a huge difference when you feel inadequate. Sometimes it is hard to see ourselves in a positive light, and that can make it harder to build up our self-esteem. But give yourself a break! You can't beat yourself up constantly. If you take a few minutes each day to counter the negative thoughts you have about yourself with positive affirmations, you'll notice that you start gravitating more towards those positive thoughts. Although Positivity Blog suggests you take 2-minute breaks for this, I think you should be doing this all day long. If you have anxiety, it is essential that you practice this constantly because it will help anxiety attacks be easier to deal with. Should I say it louder for the back? STOP THE CRITICISM! When you start criticising yourself it only hurts you more than helps. It is unnecessary and does nothing to improve your efforts at being better and it hinders your growth in regards to your self-esteem. When you start to criticize yourself you start a cycle of negative thinking which leads to you becoming over-analytical of everything you try to do. I have such a difficult time trying to stop criticizing myself. I end up becoming demotivated and stop doing things I love, or stop trying to improve on my goals because I convince myself that I will never get anywhere. Don't do what I do! You can save yourself! In order to combat the self-criticism. Start focusing on what you can positively improve. So you feel like you are lazy and don't want to do anything, instead of tearing yourself down for feeling drained; take that time to say "I feel drained, let me take the next hour or two to recharge, then I will get back to being productive." You deserve to take breaks, you deserve to give yourself time for self-care. There is nothing wrong with taking breaks. You are not being less productive, you are actually giving yourself the means of having more energy to be super productive later. Another method to solve the self-criticism is from Ideas.TED, they suggest that you should create positivity lists. If you have a negative critical thought floating around, then start making lists for why all you deserve that thing or why you are good at XYZ. Psychology Today has a great suggestion for improving your self-esteem, and I have also tried this at times and it definitely helps. Whenever you start feeling inadequate and the above methods don't work, then try changing your story. Your experience is all a mental one. Your reality is self-constructed. So if someone else sees you are unworthy, that doesn't mean you have to see yourself as that as well. So how do you go about changing your self-narrative? Well, the first thing to do is create affirmation lists. These can look like "5 Things as to Why I am Great At XYZ", or "10 Ways I Succeed Every Day." This helps lay a mental foundation on which you can build a new, better self-narrative. The next thing to do is disagree! Disagree with those who say hurtful things, or say negative comments about your self-worth. You know yourself better than anyone else, remember that. You know your limits and your capabilities. While others can claim that they know better than you, they don't and they never will. You are your own person, and that is the beautiful thing because you can create your own story in which you are the hero or heroine. Last week I had written a post, 5 Ways to a Better Health and Wellness Routine and it is perfect for creating healthier habits. It has several tips for creating a healthy lifestyle in addition to tips like changing the foods you are eating. It is proven that the way we eat can directly affect our moods. So if you take time out of your busy schedule to implement some of the simple tips from my post, then you will find your mood slowly improving. A positive mood is essential to a higher self-esteem. If you have a low self-esteem then chances are you are not entirely taking care of your physical body. Try to eat more whole foods, and you might see an improvement in your mood and ultimately your self-esteem. Learn to let the perfectionism go. We all have a little voice in our head that starts to criticize us when aren't doing something in a certain way. When you are a complete perfectionist about everything, you lose out on the joy of failing and learning from mistakes. Perfectionism is not always healthy and can lead you to some really negative thinking which in turn always lowers your self-esteem. So just take a break from controlling everything. I have to deal with this every day. I love to be perfect in my work and always criticize myself negatively when I don't accomplish something to the exact level of how I feel it should have been. But does that help me in any way? No! So if you are a perfectionist, learn to let loose a little. In addition to letting the perfectionism go, learn to have a little fun! Try something new, go out with some close friends, or treat yourself to a nice self-care date. The more you have fun, the less you focus on your faults. If you can learn to live in the moment and learn how to be mindful then all the negative thinking won't feel as much of a big issue. Learning to have fun goes hand in hand with treating yourself with kindness. When you are stuck in that negative cycle, you can become a bully to yourself, and possibly others. You start to lose out on the joy and passion you once had for things you loved, and you even lose any notion that when you have fun, you are treating yourself with love. I suffer from depression, and when I am depressed, I find myself forgetting what fun looks like. Life starts to hold no meaning, I feel less creative, and I lose out on the passion for things that I really enjoyed doing. But even attempting to do something I love during my depressive cycles can help me get back to feeling some sort of reprieve from my negative space. Having fun can be both beneficial for your self-esteem as well as your anxiety and depression (if you suffer from those mental illnesses). The last, and possibly most important part of improving your self-esteem is to surround yourself with good people. Good people can look like supportive family members, caring friends, or even positive-minded acquaintances. By having a solid support system chances are your self-esteem will improve simply because you see those around you happy and living their best lives. 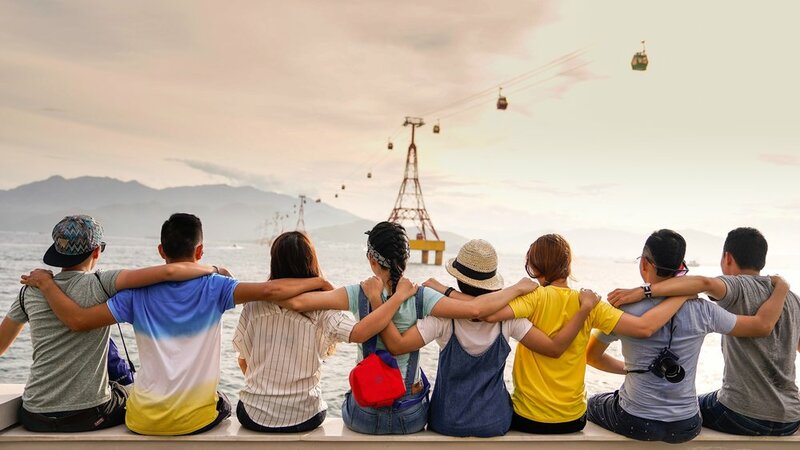 There is an additional benefit to having a solid support system as well, it allows you to connect with others and share your story. The world always seems less scary, and easier to manage when I have a conversation with my best friends or my mom about my doubts and things that make me self-conscious. More often than not, they have a story of their own that I can relate to. The thing about self-esteem is that whether it is low or high, there is always someone else that is suffering along with you. We can choose to go through our lives hating ourselves and feeling worthless. Or we can say "No" to the negative thoughts and start realizing that we have more to offer the world and ourselves. For additional information about improving your self-esteem, check out this post on Cornerstone University.